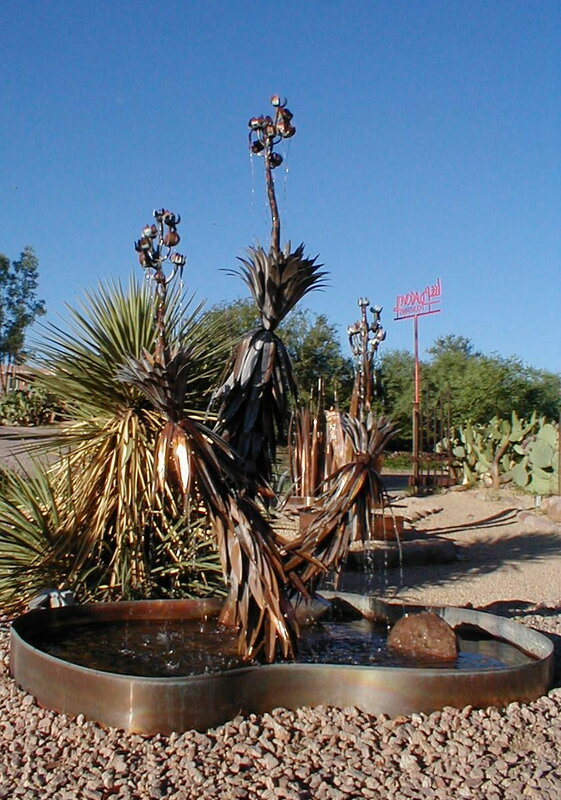 Yucca fountains have two levels of sound. 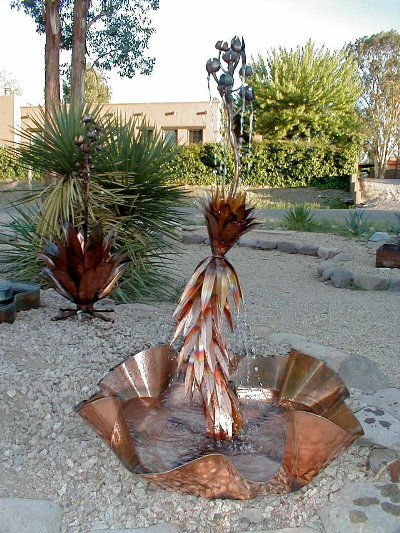 The first comes from the water dropping out of the flowers into the reservoir created by the upward leaf ball... the second comes from the water dropping from the downward leaves into the base. 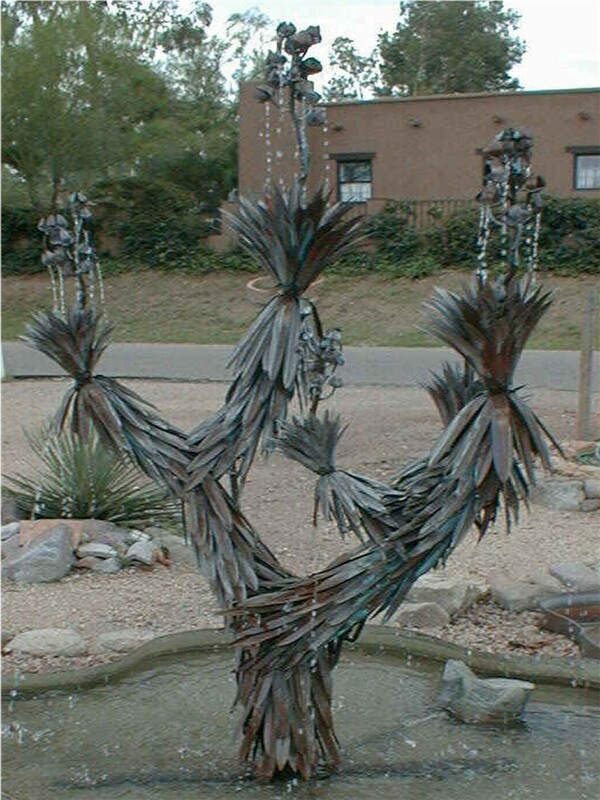 The end result is a very pleasing sound. 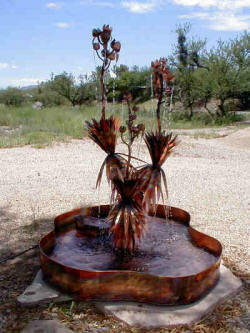 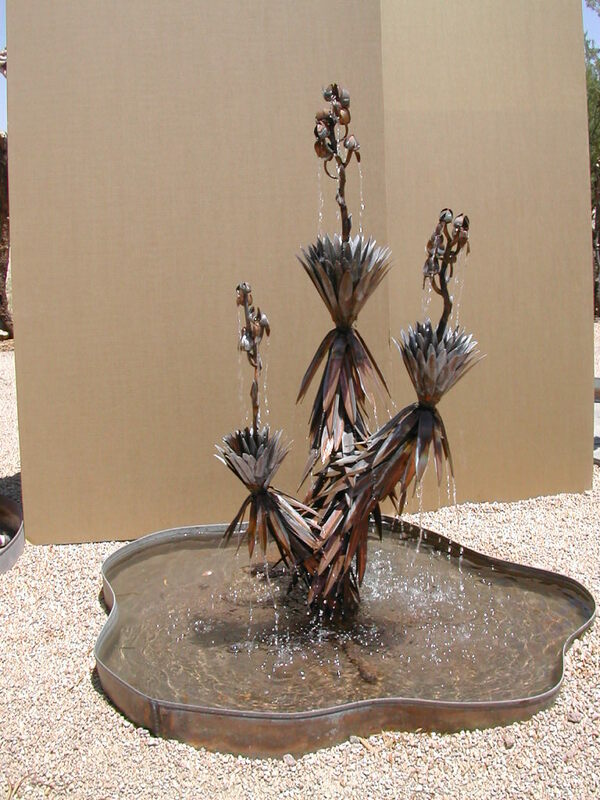 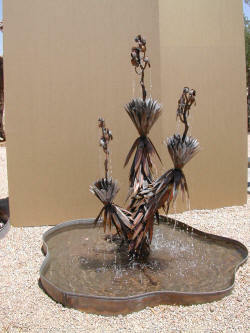 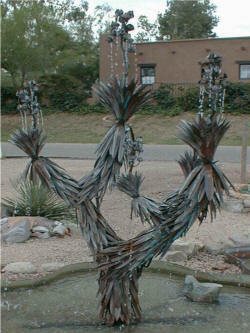 Because sound and splash usually go hand-in-hand, however, yucca fountains are best suited for an outdoor application.